No need to be afraid! 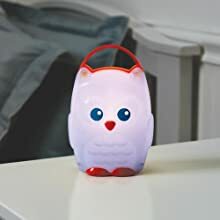 Help comfort your toddler during bedtime and overnight potty treks with this adorable owl nightlight. There is no need to be afraid of the dark with a little owl lighting the way! LED technology prevents the little owl from getting warm to the touch. It's also 100% battery-operated, eliminating the worry of cords or charging stations near your little one. 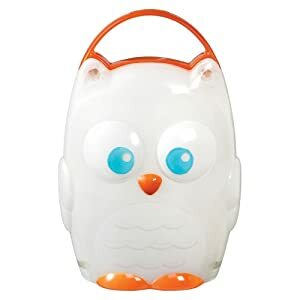 Perfect sized handle for your little one to bring their owl friend with them wherever needed. 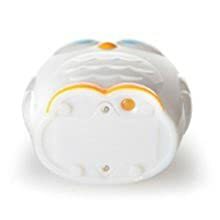 Light My Way nightlight will automatically shut off after 20 minutes to preserve battery life. 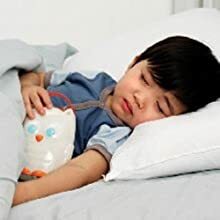 This friendly little owl provides a soft glow great for nighttime check-ins, nappy changes, and reassurance following scary dreams.